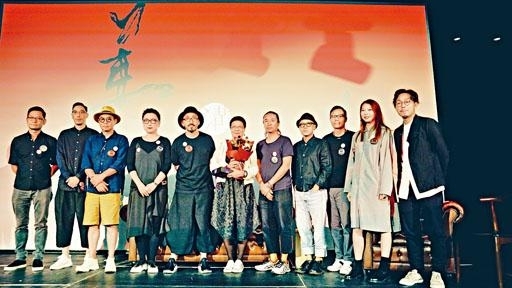 Director Ann Hui On Wa yesterday attended a Hong Kong Film Arts Association's forum and shared her years of filmmaking experience with art directors. On stage she joked that when she first started as a director, cinematographers asked her for scene break down first before they would be willing to work. She ended up had to work all night and the cinematographers criticized the break down as poor. Speaking of her relationships with art directors, Hui On Wa said that as the times changed, art directors and directors already have new ways to work. She said that when she started the art director post did not exist yet, thus she also wanted to learn from the new generation of directors because of the assistance of new technology. However she had no idea about computers at all. Would she utilize new technology in her next production? She said, "I don't have enough energy, I want to do some smaller scale, low budget productions. However now I am still resting, I haven't planned any new script yet." Director Hui expected that the soonest she would start production would be next year, the subject has not been decided yet. "Now looking for a subject requires a lot of consideration, you have to think why the audience would have to see your movie. Because of how developed modern technology has been, how numerous the media have been, and the successes of many new directors on the three lands on both sides of the Strait, the competition is huge. I have to work hard myself."